Restaurant Upstairs is open daily from 5PM, except for Monday. Our wine list has up to 100 different wines. Our maître sommelier can tell you everything about it. Our chef makes your evening a gastronomic experience. The most fresh ingredients will guarantee a taste sensation. Enjoy a culinary evening with sunset on our roof terrace with a great view over royal estate De Horsten. Our new menu offers various starters, main courses and desserts. The menu is inspired by the supply of the market where organic and sustainable products are preferred and the season is reflected in the dishes. Others are already convinced of the culinary dishes that Upstairs offers you. 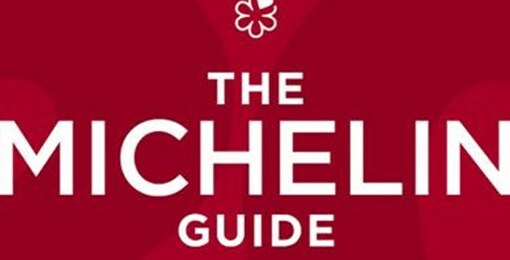 You will find us in the Michelin Guide and in the GaultMillau where we are rated with 14 points. 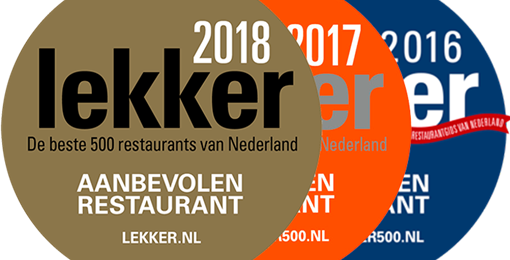 This year we have another great mention in the "Lekker 500" and we are proud of that. May we convince you soon? From a grape to a lovely wine: every wine has a journey. Our sommelier is happy to inspire you with a story about that one specific wine and which dish it would suit. You can choose over 100 different wines. Still hard to choose? Let our staff surprise you with a wine package. Santé!